Lanhydrock Wedding - Game for a laugh, a photo by puritani35 on Flickr. 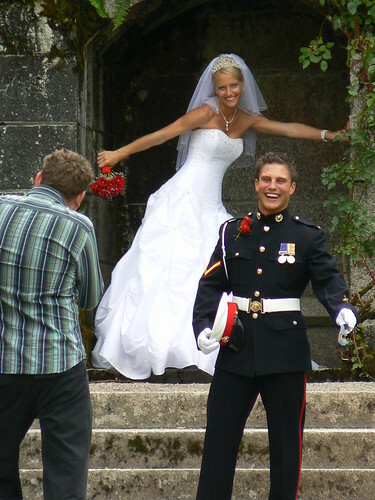 Both Bride and Groom had a great sense of humour, they had to with that photographer. I did not know who the happy couple were but they made perfect photos. On a visit to Lanhydrock House in Cornwall a rare event is a wedding in the church attached to this stately house. I hope they get to see these pictures.